IntEgro Verkehr Gmbh is a German rail operator, which was founded on 05.08.2008. 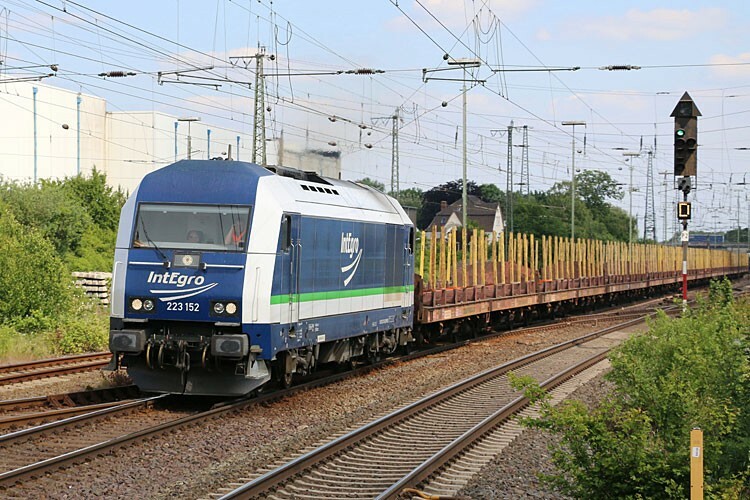 The first couple of years Integro used locomotives of partner companies, but this changed with the delivery of 223 144 in August 2010. A year later, in August 2011, a second EuroRunner was added to the fleet with the delivery of 223 152. Both locomotives were originally delivered in white, because they were built as stock locomotives. Soon after their delivery their white looks were exchanged for the Integro company color scheme.